A couple of white dove stories to add to our collection. The first is straightforward. As I have written previously many believe that a white dove is a sign from a loved one, or even the spirit of a deceased person. "Hi I'm Michael. The day after my mum's funeral I looked out of my living room window to see a white dove stood on the wall. I ran upstairs to make sure I wasn't seeing things. I looked out of my bedroom window and the dove was still there looking right at me. The dove seemed as though we had acknowledged each others presence and then flew away. I never saw the dove again." The second story asks, "What does this mean?" My answer is, "I don't know." It's how it feels to the individual concerned that matters. 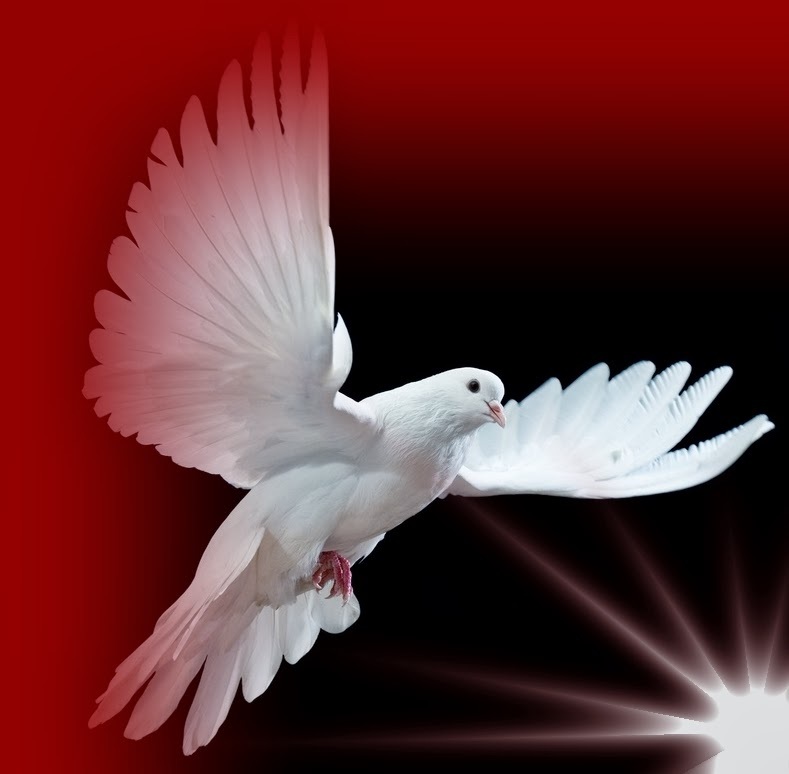 It seems, from the story, that a white dove disappeared. It's appearance in the first place is probably more relevant. I wonder if someone in their family had died recently. But, whatever, I'd just like to add that doves should be free to fly as they wish and not enclosed in a room or a cage - and surely they have no place in a pet shop. I guess we all think differently. "Yesterday I went into my garage to do some laundry, as I opened the garage door I saw the most beautiful white dove wandering around. I was surprised to see him there, and I realized that he must of slept there the whole night. I grabbed him and brought him into my house. My kids were amazed to see such a beautiful bird and since I didn't have a cage I let him loose in the house, gave him some seeds and water but he didn't seem interested. So today I went around my neighbourhood asking if the dove belonged to anybody. Since nobody seemed to know anything I told my kids I going to the pet shop tomorrow because we can't have another pet. So anyway I came from work today and I asked my daughter how the bird was. She said he was fine. Since is has been really cold here in California I put my two dogs inside the house for the night and I put the dove in my son's room and told him not to open the door. Not too long ago was looking for the bird to put him inside my sons room again and he is nowhere to be found which is really really weird. My house is really small and the dove is nowhere to be found. I love these stories. Yesterday, we watching Forest Gump - and it begins and ends with a white feather driftng down to his feet, the spirit of his mother.